The Feb. 4 and April 15 presentations will be held at Hill House Association's Kaufman Center. There is limited on-site parking but transportation is available to and from Duquesne's campus with advance registration. 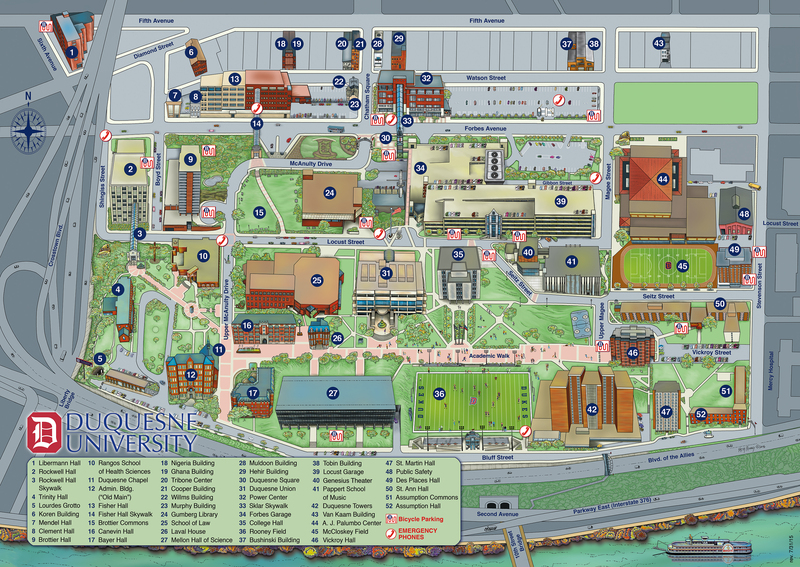 See map for directions and building location. .
All other presentations will be held at Duquesne University, College Hall, Room 104, Bulding #35 on the campus map. Paid parking is available in Forbes Garage, Building 34 on campus map or on the street.